Richmond High School is fortunate to have the oldest high school strings program in the country, beginning in 1899. Studies and data that show how music education, as early as possible, does nothing but benefit young people and enhance their lives well into adulthood. Members of Richmond Community Orchestra wanted to give young people, especially those who might not otherwise be exposed to music, an opportunity to learn the violin. Girls, Inc., was happy to partner with us, and out of that partnership the Strings Initiative Program was born in 2013! 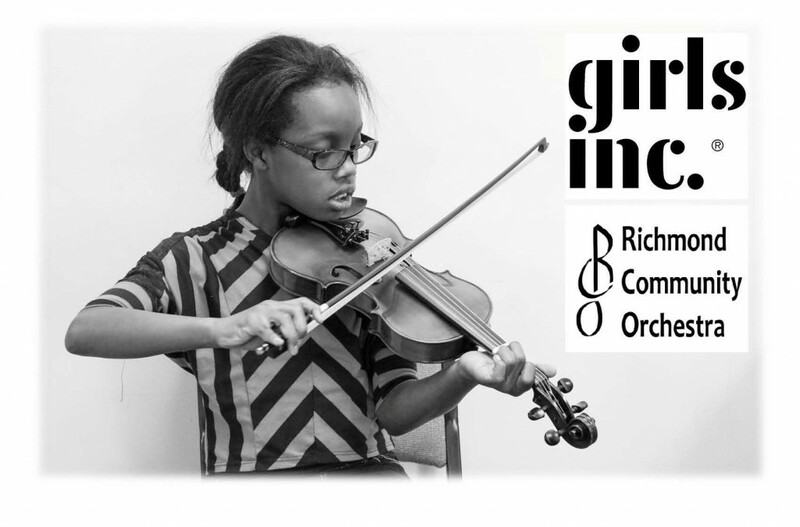 We provided willing upper elementary girls with a loaner violin, an instruction book, and a teacher for two weeks of daily lessons at Girls, Inc. This cost their families nothing. RCO footed the entire bill, except for the generous donation of the violin rentals and books by the Baroque Violin Shop in Cincinnati, Ohio. We expanded the program the following fall when some of the girls continued on with the instruction with ten weeks of weekly lessons. For some, they paid a nominal fee for the violin rental. Others qualified for scholarships. They still got books and a teacher at no cost to their families. For the past two years these girls have joined student violinist from the Arts Place in Hagerstown, Indiana, to perform with the Richmond Community Orchestra at their May concert.